Tranquility and confidence for the wedding, is the guests confirmation. Now you will have an orderly budget for the most important day, the reception of your wedding, so you will have the certainty of how many guests will attend, thanks to the guests confirmation in Amada Madonna. You will can have the information organized, in a clean and timely way, about the people who will attend, the people who will not be able to attend, all with useful solutions to keep the wedding budget stable. My heart has engraved your name on fire. Your guests confirmation package is 10 times more useful than other packages. In your guests confirmation package they are included gifts and free services. They are amazing gifts in useful services for your guests confirmation, that you can enjoy right now. Let's see now the packages you can choose for the guests confirmation for your wedding. It is beautiful to enjoy your guests confirmation. Special offer of 3 and 6 months without interest, choose the one you like the most. Comfortable options to buy online, in the bank or in an office of Amada Madonna, whichever you prefer. I would say yes to you, a million times more. The confirmation of guests of Amada Madonna has been a blessing, we were able to resolve the doubts about the number of guests we would have for the reception of our wedding, we saw all information from the Internet, and so we were able to organize very well all the details. Furthermore, this reliable information was what allowed us to make timely decisions. We are very grateful and happy for you, they are amazing. Mariana Castillo and Axel Soto. Designed to send requests for confirmation of attendance to your wedding, in the easiest way possible, requests are sent via WhatsApp as a delivery method, but the confirmation process is done on Amada Madonna platforms. I knew you as anyone, without looking for anything, and ended up loving you completely, finding everything. They helped us to prepare the invitations in all the details, they made us feel calm at all times, they helped us save a lot, besides everything was perfect and we loved how our guests were gradually confirming, it is excellent to have everything organized at the wedding, so we always feel safe in all aspects, we thank you so much for everything. In short, Amada Madonna must be the first and only option. Alexandra Rivas and Javier Casas. Creative ideas, content full of love. It's time for you to follow us on Twitter. The most planned way to confirm attendances and save. It is perfect if you do not have yet printed the wedding invitations, so you can prepare the invitations so your guests can confirm their attendances with efficiency and elegance, while you save. I love you. But it is not so much, it is forever. The invitations of our wedding were so special and unique, in Amada Madonna they had everything prepared, it was so nice to see your attentions in each step, everything was so well organized, so well prepared, that it is one of the best decisions we have made for our wedding. Because with you we learned what is true quality and professionalism, and they made us enjoy the experience of our wedding, without worries. We are very grateful for everything. Paulina Vega and Nicolás Luna. Follow us right now on Twitter. Balance to confirm the attendances of the most crucial guests. The guests confirmation via SMS are excellent to combine with the guests confirmation via RSVP and telephonic, so you can balance the guests who need a more agile confirmation. You make my world more beautiful. Their special attentions to us made us feel at home from the first moment. We loved it as always, they had it so well ordered and so well thought out, in every package and in every service of Amada Madonna. They offered us excellent options that allowed us to save and in addition they always kept us well informed of our guests, their excellent quality made us smile so many times and truly look forward to the great day with so much happiness. Tania Gil and Omar Ortega. Efficiency and agility for confirmations with little time in advance. It is excellent to have the stability of the wedding budget and to make timely decisions, with the guests confirmation via telephonic you can have accurate information in an agile and efficient way. It could have been nice, but you made it perfect. It gave us so much confidence and it seemed so great to see how our guests were confirming, we saw all information from our smartphone and every day we recognized the excellent decision we make to be with you. The high quality of Amada Madonna is nothing like other packages, which are improvised and always gave headaches. But you are so professional and so attentive to your clients, that all this makes us feel so good when we think of every step we took with you. Romina Palacios and Arturo Torres. You will smile with your guests list. Everything is designed to make the guests list well, with ease and efficiency. Now you can make the guests list with easy steps in the most efficient way, without wasting time, because you will love that you can do the distribution by tables and send the list for the confirmation of attendances, with a simple touch. It is good to fight for what is good to have. We always had the information very clean and well organized, every detail about the confirmations of our guests was very easy to understand, they also offered us very good advice to optimize the organization at our wedding reception, we saved a lot with you, and also our guests asked us a lot about you, because our guests had never had such excellent attentions for a wedding before. 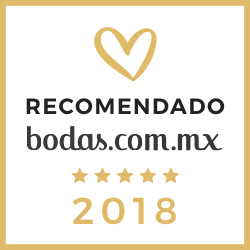 In Amada Madonna their have created a very high level of quality and excellence that we appreciate so much, in all the tranquility and confidence that we always had with you. You are really the best of the best. Ana Karen Caballero and Gabriel Rubio. Confirmation of attendances with graphics. An easy, visual and natural way to see the results of the confirmations. You can see the information with easy and friendly graphics, which are designed for easy reading, so you can make smart decisions in a timely manner, the best of all is that you will can see the graphics and information from your smarphone. Secure and reliable confirmations for you and your guests. The steps to confirm the attendances are completely safe, privacy and reliability are guaranteed, each step in the process is protected by protocols and security systems, which protect your privacy and that of your guests. It is thinking intelligently, it is enjoying excellence. You can see demonstrations about the guests confirmation, so you can check the excellence that is in each step, you can also see the confirmations from the perspective of your guests, as well as in the way of seeing the results. It is now time to make the best decision. Enjoy the security and confidence for your wedding, the guests confirmations guarantee stability in the wedding budget, enjoy the confidence with the most accessible and personalized shopping plans for your wedding to be perfect. Everything is to fall in love. Get more information, compare packages. A excellent attention to make good decisions.